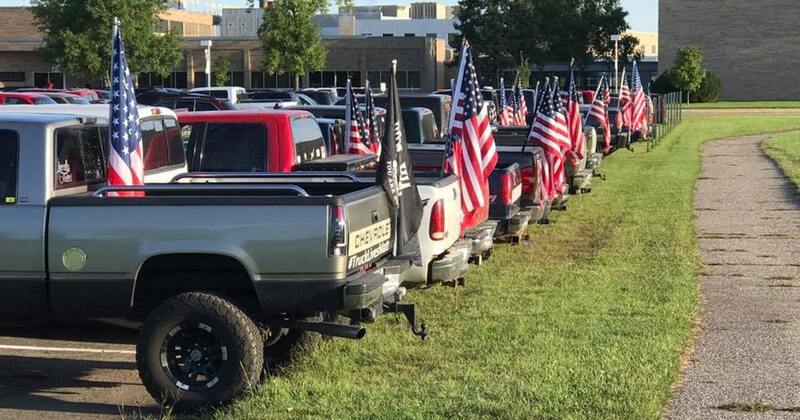 U.S. High School BANS American Flags On Vehicles – Are You Proud Of How Students Responded? 08 Sep, 2017 by	Margaret M.
When a central Minnesota high school banned students from flying American flags on their vehicles, there was only one reasonable way for the students to protest. The administration at Rocori High School first announced the ban at the beginning of this school year, it was intended as a blanket ban. Last spring, students were flying Confederate flags on the cars and trucks they had parked at the school, but the school officials decided that they were offensive and “caused concern” among the other students. And at least 25 students showed up with American flags on the backs of their pick-ups. The ban wasn’t scheduled to start until next week, but by the end of the school day the students and administration had reached a compromise. The ban that removed the students’ right to fly flags or banners was lifted from the student handbook. The administrators now say that “offensive flags” will be handled on a case by case basis instead of through an outright ban. The Rocori superintendent, Scott Staska, confirmed that this would be the case. When the administrators first decided on the ban, they admitted that there had been no issue with students flying the stars and stripes, but they went with a heavy hand that would apply to all flags or none. 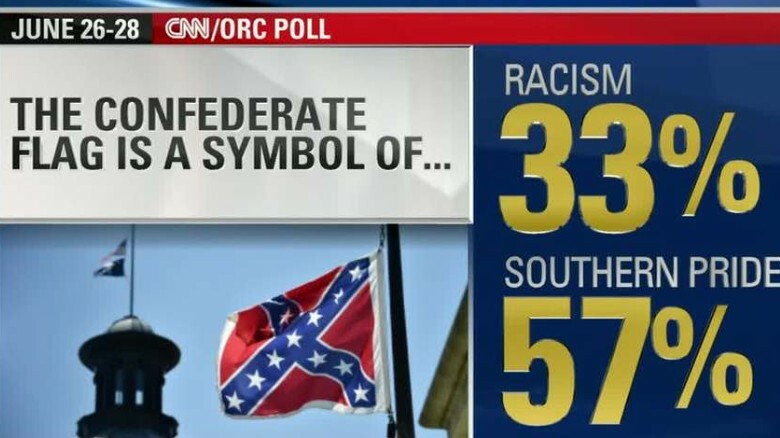 They’re still not willing to admit that the Confederate flag isn’t just a giant banner signifying racism, but this will have to do for now. The Star Tribute says that this has raised awareness over the “issue that some symbols can be harmful,” which to me sounds like they’re kicking the issue of whether they’re willing to accept multiple interpretations of the Confederate flag down the road. Last month, we told you about an incident at a Wisconsin county fair where vendors were banned from selling Confederate flag merchandise because someone might get their feelings hurt. It wasn’t just feelings that were hurt during the Civil War, but hey, at least it’s nice that so many students in Minnesota were willing to risk fallout by carrying the American flag, right?